The Royal Festival Hall is a 2,500-seat concert, dance and talks venue within the Southbank Centre in London. It is a Grade I listed building, the first post-war building to become so protected. The hall was built as part of the Festival of Britain for London County Council and was officially opened on 3 May 1951. It has undergone alterations and renovations on more than one occasion, most recently in 2007, which included significant changes to the acoustic properties and seating inside the auditorium as well as to the ancillary public facilities outside the auditorium. A site map of the RFH including the position of the Artists' Entrance at the rear of the building can be downloaded by clicking here. 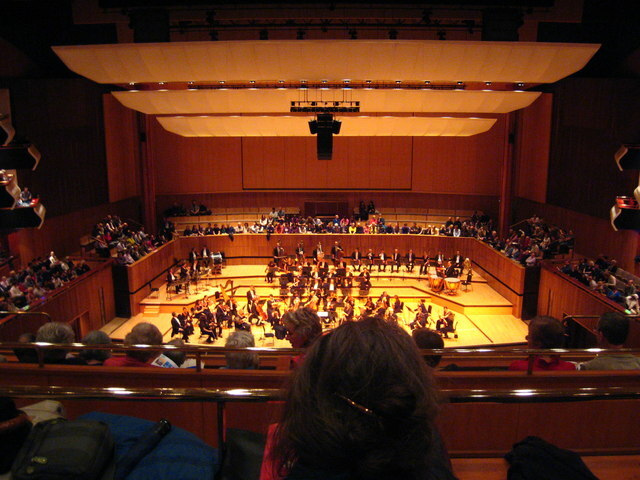 The Royal Festival Hall is located on the South Bank between Waterloo Station and the River Thames and at the southern end of Hungerford Bridge and the Golden Jubilee Walkway. There are numerous bus and tube routes that stop at Waterloo or nearby, with route RV1 stopping in Belvedere Road. There is some limited parking. Step-free access is available into the building.